About many important conditions we have only statistical information rather than data regarding changes in the fine structure. Macrotheory then often affords approximate values or, probably, predictions that we are unable to obtain in any other way. It might often be worthwhile, for example, to base our reasoning on the assumption that an increase of aggregate demand will in general lead to a greater increase in investment, although we know that under certain circumstances the opposite will be the case. These theorems of macrotheory are certainly valuable as rules of thumb for generating predictions in the presence of insufficient information. But they are not only not more scientific than is microtheory; in a strict sense they do not have the character of scientific theories at all. If one erects the edifice of our theory uninfluenced by prejudices and outside demands, one does not encounter these concepts [namely “national income,” “national wealth,” “social capital”] at all. Thus we will not be further concerned with them. If we wanted to do so, however, we would see how greatly they are afflicted with obscurities and difficulties, and how closely they are associated with numerous false notions, without yielding a single truly valuable theorem. The reference is to Schumpeter’s 1908 book, Das Wesen und der Hauptinhalt der theoretischen Nationalökonomie which, to my knowledge, has never been translated (though an excerpt, and some commentary, are here). For more on the different versions of Hayek’s essay see here and here. NB: Krugman blogged over the weekend about microfoundations, offering a remarkably (sic) shallow and misguided critique based on what Hayek would call the scientistic fallacy. E.g. : “meteorologists were using concepts like cold and warm fronts long before they had computational weather models, because those concepts seemed to make sense and to work. Why, then, do some economists think that concepts like the IS curve or the multiplier are illegitimate because they aren’t necessarily grounded in optimization from the ground up?” Ugh. Entry filed under: - Klein -, Austrian Economics, History of Economic and Management Thought, Methods/Methodology/Theory of Science. The example of lacking micro-foundations I like better is Darwin; he lacked any idea of how heritability of characters worked. Furthermore plausible accounts of inheritance potentially invalidated evolution and Darwin had no strong alternative to propose. So during Darwin’s lifetime, and for quite a while afterward, evolution was a pure macro-theory with not even a good hypothetical micro-foundation. But I think this doesn’t at all indicate that evolution was wrong or did “not have the character of scientific theories at all”. It did a good job of explaining macro-phenomena and drove investigation into the right sort of micro-foundations, which considerably later bore fruit. There are lots of other examples in science. I’d like to know what the argument is here that macro-theories are not scientific. Jed, I think you’re answering your own question here. I.e., a Hayekian would say that what Darwin offered was something like “pre-science.” Darwin offered a series of conjectures, or speculative claims, some of which are now believed by modern evolutionary biologists to be true (and many of which are now believed by modern evolutionary biologists to be false). Sure, you could say that he pointed the way, but that’s too broad — what, then, isn’t science? We wouldnt say that, e.g., Aristotelian theories about gravity and bodies in motion were good science, even if wrong, because they “drove investigation into the right kind of microfoundations, right? Methodological individualists don’t deny that there are interesting macro-level regularities that should be recorded and studied, only that claims about them don’t reach the status of science until we understand the underlying causal mechanisms. Thanks for that reply. I’m not sure why you introduce the criterion of “good science”, but let’s leave that aside. I could agree with you, given some appropriate definitions of science vs. “pre-science”. But I think such a definition would have to be crafted to get just these results, and wouldn’t actually be useful in deciding how to do research. Consider the Copernican heliocentric system. Copernicus had no causal theory of why planets followed orbits. He certainly had no conception of gravity. So, no micro-foundations. He was just finding a model for empirical regularities. But it was extremely useful in guiding astronomy. I don’t see a benefit to calling it “pre-science”. Or consider current relativity. Again it lacks micro-foundations. No one understands how to integrate relativistic space time with our currently accepted micro-causal theories — in fact they are incompatible. So relativity just floats there, ungrounded. It does provide a good model of macroscopic empirical phenomena, without foundation. Should we call it pre-science? How would that help? – Where does the regress stop? Was chemistry scientific when it was founded on atoms, or not until it started to use quantum mechanics? Or not even then because there are deeper levels? – In the human sciences, how realistic and detailed do our models of humans have to be, to be scientific? How can we justify drawing that particular line? – How do we accommodate the dependence of science on shared practices, including language and norms of inquiry, that can’t be described at an individual level? Good questions all. But remember we are talking about social science, not physical science. 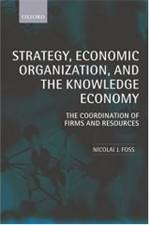 Read Schumpeter 1908, Hayek 1959, and co-blogger Foss’s many articles on MI with Teppo Felin for some discussion of the differences. I assign Lars Udehn’s 2002 Annual Review of Sociology piece in my graduate classes. Lots of your issues are addressed in this literature, e.g. reductionism beyond the individual, etc. Found Lars Udehn’s piece and it looks like a helpful map of (some part of) the conceptual territory. I will read it in the next few days. Thanks! Can you narrow down the other literature a bit to chunks of material on the same scale (~tens of pages) that appropriately address the difference between science and pre-science (or whatever the useful distinction is)? Sorry about all the physics, I would not have gone down that road so far except in response to other physics examples. Currently of course the social sciences are distinct from the physical (and the biological, and the artificial). But I think that those are social / historical facts that will get washed out over time, with better understanding of the micro-foundations and better macro-theoretical tools. For much of this territory, statistical models of interacting populations are very helpful — they span population biology and many social phenomena, including a lot of economics, models of institutions, etc. In population biology these models are well developed, and work well with very schematic micro-foundations until one gets down to very specific cases. Increasingly these models have turned out to be very useful in sciences of the artificial, such as computational learning, optimal coding, solving inverse problems in sensing and motor planning, and so forth. The original source of many of these modeling ideas is statistical mechanics so in some sense these models span physics as well. This is useful since phenomena like phase transitions, which are well understood both theoretically and empirically in physics, are important and useful in all the other domains, and don’t appear to arise naturally from other modeling frameworks. Sunny Auyang’s book “Foundations of Complex-System Theories in Economics, Evolutionary Biology, and Statistical Physics” is a very accurate and readable comparative introduction to these approaches ca. 1998. The work has progressed considerably since then. What stands our most clearly from Schumpeter’s exposition of “methodological individualism” in his 1908 book is that for him “subjectivism” means and is limited to the individual’s given tastes and preferences. There is little to suggest an appreciation or highlighting of the wider “subjectivism” of “meaning,” “intentionality,” “expectations” that came to be closely identified with the methodological individualism to be found in, say, Mises or Hayek. Nor should this be so surprising. “Das Wesen und der Hauptinhalt der theoretischen Nationalökonomie” was meant to be an attack on both the German Historical School’s approach and an implicit criticism of Schumepter’s “Austrian” teachers. His point of orientation in the book was emphaszie on methodological positivism (the importance of the “scientific” [the scientistic] application to economics). This was especially meant to highlight Walrasian mathematical general equilibrium theory as the capstone of a “new” scientitific approach to economics. Precisely, because of Schumpeter’s methodological approach in his 1908 book, he was taken to task in reviews and critical comments by both Friedrich von Wieser and Eugen von Bohm-Bawerk. For instance, in the third volume of Bohm- Bawerk’s “Capital and Interest,” he takes Schumpeter to task (in a footnote) for “reasoning in a circle” through the method of mathematical mutual interdependence, rather that the “cause and effect” analysis applied by the Austrians (what later Hans Mayer called the “causal-genetic” approach — explaining the process of price formation from its origins in the subjective valuations and actions of the individual market participants). And Wieser challenged Schumpeter’s emphasis on an economics primarily relying upon the measureable and the quantifiable. Wieser defended “introspection” and the subjective views of the individual actors for comprehending and understanding the “laws” of economics and their works in the market. Schumpeter, already, was fast moving away from any original “Austrian” roots in this 1908 book. 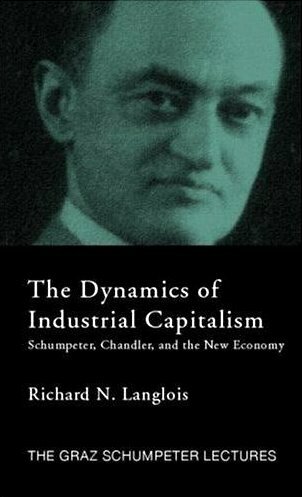 Schumpeter’s book has been translated and published in English as The Nature and Essence of Economic Theory (Transaction Publishers, 2010). Thanks Mario, I wasn’t aware of that! @jedharris: You are absolutely correct, Jed. And we can look well past Copernicus: Newton certainly did not supply any causal mechanism for planetary motions either, just a mathematical law they happened to obey. He freely admitted this himself. The claim that we need microfoundations before we can do macro science itself has no “microfoundation” at all. Gene: Happy for you guys to discuss mechanisms, causality, and explanatory strategies for the physical sciences all you like. But this has little to do with Schumpeter or Hayek, who were talking about social science. You may reject their version of methodological dualism, but it’s hard to make sense out of their arguments without taking it into account. Peter, *you* made a point about how the social science situation is just like in the natural sciences, where you don’t have scientific macro theories without microfoundations either. Now you want to retreat into “Well, but the social sciences are completely different”?! No, you were correct in the first place: the situations are analogous: we can have fine macro-theories in either area without yet knowing what might underlie them. That is why Hayek stopped talking about MI by the 1960s, when he realized his theory of group selection was just such a macro theory. No, in saying you were correct, I only meant as far as the first colon: the social sciences *are* analogous to the physical sciences in terms of the relationship of micro and macro. Then I added what comes after the second colon, meaning, except that relationship is the reverse of what you think it is: in *both* the physical and social sciences, we may have perfectly fine macro theories before we know any micro-structures. I could have been clearer. Thanks. Now we can see more clearly that we are in complete disagreement! – I don’t want to argue about who said what, since it isn’t likely to lead to interesting new understanding. – I did read Udehn as suggested. Extremely interesting — I had no idea that the Austrians were friendly with Schutz or so compatible with symbolic interactionism. Also now I understand much better the implications of invoking Coleman. Udehn seems primarily to be a taxonomist and historian — worthy endeavors, and interesting. But I’m not clear about either (1) what flavor of individualism Peter subscribes to (there’s quite a range) or (2) why he finds it compelling. I’d be interested in a pointer to a concise answer to those questions. My own position doesn’t really line up with any of the ones that Udehn describes, though I find the Austrian style of analysis more fruitful in my own work than Coleman’s. On the other hand I want fully analyzable models. There are lots of examples of fully analytic models that I’m comfortable with. In some sense many of them are “individualistic” even “naturally individualistic” in Udehn’s sense (his most individualistic category). A good example is models in population biology. Of course only individual beings are observable, not populations per se. Furthermore in a Darwinian framework, each individual may well be genetically unique — often there’s no well defined species, but rather distributions of alleles over individuals, with individuals far enough apart not interfertile. Furthermore the dynamics of the model depend entirely on how long each individual lives, and how much it reproduces. So these models very explicitly construct macro structure from micro entities and events. Of course the point of this class of models is to analyze macroscopic patterns. But I think for our purposes these models greatly clarify the role of the micro level. A fully analytic model is able to say that *in the context of this model* individuals can be schematized down to specific attributes without loss of relevant information. Furthermore analysis of the model can tell us how many individuals we need to observe to characterize the whole population, and how to tell if the model fails to fit the population. Some of these models, based on only the most schematic individuals, can generate very robust and striking macroscopic patterns (maybe the simplest examples are block spin or percolation models). This tells us that in some cases, at least, these patterns arise from structural characteristics of interactions in the population, far more than from any sort of aggregation of characteristics of individuals. Personally, I believe that this is largely true of social institutions — I think beyond a very small scale, structural properties of the interaction largely wash out individual psychology or choice. This is not because I assign these higher level patterns an independent causal role. Instead, it is because I believe that a very wide range of individual attributes and choices will produce similar institutional patterns. But in that case, we in fact *can* observe macro phenomena and usefully base decisions on them even if we mostly or entirely lack an understanding of the micro structure that makes them behave the way they do. Understanding the micro structure may have benefits, but it isn’t an empirical, epistemological or metaphysical necessity. So, I still wonder: What do we mean by methodological individualism in this discussion, and what work does it do for us? Jed, these are good points — thanks for reminding us that there are many varieties of methodological individualism. My position is closest to what Udehn calls Austrian MI (BTW here’s an ungated version of the paper for those still following along: And here’s the book-length version.) I’ll try to think of a concise article justifying this position. Thanks, I got a number of those papers and will look at them. Some of them seem to explicitly address the rationale for micro-foundations. I’d suggest that those of you organizing this blog put together a page with an annotated bibliography of papers and books with links to ungated versions where available. That seems very consonant with your mission. My observations in the history of science suggest that when a field employs fairly wide spectrum of not-entirely-compatible theoretical perspectives and/or methods, the field is still in the process of forming a disciplinary consensus. (Often it ends up forming more than one, and spawning multiple disciplines.) This typically means that discussions of epistemological issues are difficult and inconclusive, and that the relevance and value of any strong analytical models is disputed. Specifically in this domain I think we don’t yet have adequate techniques for building sufficiently analytical models (that is models that adequately capture our insights, that are fully specified, and that are tractable) for most of the phenomena of interest. So these debates are bound to be inconclusive. To my mind the most useful discussions would be aimed at identifying the comparative strengths and weaknesses of the different perspectives. It would also be extremely helpful to identify where the existing analytical techniques are inadequate to reflect the insights of a perspective — that is to say, where better modeling techniques are essential, and what they need to accomplish. The needed techniques needed may be available but be difficult to understand and not obviously relevant; having a clearer sense of what is needed might help us find them. The result of increasing clarity about these analytic foundations is in some cases merger of perspectives, where they find a common framework that preserves their respective insights. In other cases perspectives find they have distinct ways of approaching phenomena which, for good reasons, require distinct analytical frameworks. In those cases they can separate their concerns more cleanly, and often are able to benefit from each others’ work. Mostly I don’t find arguments about which perspectives are “right” or “scientific” to be very helpful.